36 percent of mobile Americans and 29 percent of Europeans browsed the mobile web in December 2010, with access through an application reaching 34 percent of Americans and 28 percent of Europeans. (Source comScore). Our customer, INWI is a dynamic new mobile operator in Morocco that has recorded strong growth since its launch in February 2010, signing up close to 4 million subscribers in one year. The deployment of our Windows Live application, LinqUs SIMessenger has met with huge success – the operator has already surpassed the 250,000 milestone for passes sold every month since commercial launch in February 2010. In my opinion, the clever move was the pricing that INWI went for. Users choose a pass per hour, day or week for unlimited access to the messenging service. The rates have been closely benchmarked to this charged by local internet cafés. 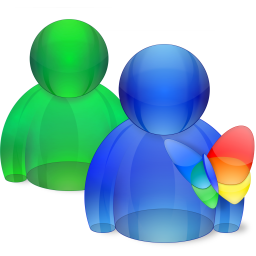 So those people who would normally use Windows Live Messenger on a PC are tempted by the price and convenience of the mobile version on the INWI network. Elsewhere, LinqUs SIMessenger has seen fast uptake in many of the world’s most dynamic markets including Thailand, Brazil, Argentina, Peru, Colombia and Mexico. In 2010, the solution was used by 5mn MSN Live users. Prior to the announcement with INWI, the latest operator to deploy LinqUs SIMessenger was AIS, Thailand’s largest mobile operator with more than 30 million customers. Following on from the interest generated by our Facebook for SIM announcement during this year’s Mobile World Congress, the project with INWI highlights the popularity of social networks and instant messaging among non-smartphone users. If you want to see how the solution works then view the video from the Ajay Kaushik, the service’s product manager.